Rick Hendrix Energy offers the lowest rates on gas turbines and full turnkey power plants. We supply, install, commission, operate and perform maintenance services. We offer plant rehabilitation and relocation, along with training, engineering, design and OEM support. Our turbines and plants come with full warranties and are backed by our quality control guarantee. We also offer full procurement, delivery, set up, commissioning, operations, maintenance, training and consumables on most packages. 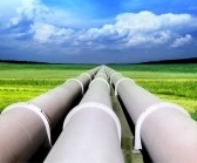 Rick Hendrix Energy is quickly becoming the source for oil and gas pipeline equipment, centrifugal compressors and complete gas field installation services. Our team takes pride in the gas fields we build. From the engineering and planning stages to the final product, Rick Hendrix Energy is the fastest solution for oil and gas field construction, engineering and equipment suppliers in the world market. Quickly offering emergency power to the 60hz and 50hz community, Rick Hendrix Energy is proud of its growth in the mobile marketplace. Offering up to 25MW of mobile power in the GE LM2500, 15MW of mobile power in the Solar Titan 130 and 5MW of power in the Solar T 60 units. 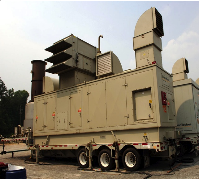 We offer a wide assortment of gas and diesel mobile power generators from 500KW to 25MW. Rick Hendrix Energy offers our special “HenSet Power Barge” to the power industry. The power barges can produce up to 300MW of power and can be moved in and out of areas with ease. Our floating power plants can be built to the customer’s specifications with a lead time of less than 30 days. Rick Hendrix Energy also offers all marine engines at 30% off retail prices. 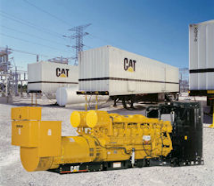 Rick Hendrix Energy provides Caterpillar and Cummins diesel generators and engines. Our diesel turbines are mobile and sound attenuated. We offer 1MW to 4MW packages on 40-foot mobile trailers for fast reliable power. 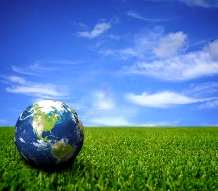 Our company has expanded and now offers the best renewable solutions. 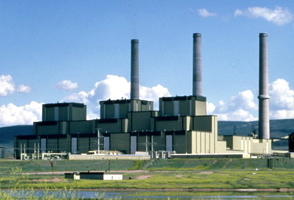 Currently launching our first zero-emissions coal plant technology and offering our waste-to-energy plants in 2012. Rick Hendrix Energy offers a wide range of wind turbines, solar panels and renewable power options and services.